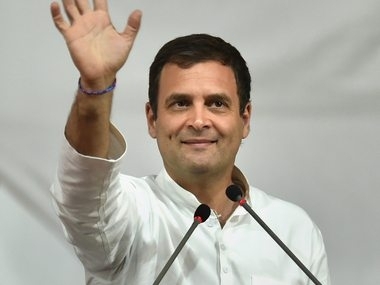 Congress president Rahul Gandhi has agreed to contest from Wayanad parliamentary seat, the party’s bastion in Kerala that borders Karnataka, Kerala Congress chief Mullappally Ramachandran said. Congress Spokesperson Randeep Surjewala said, "Kerala Pradesh Congress Committee (KPCC) has sent their desire that Rahul Gandhi should contest from Wayanad constituency. We thank them for the love and respect, Rahul ji has always said that Amethi will remain his Karam bhoomi. Rahul ji will positively consider the request of KPCC." The Wayanad seat was formed in 2009 and is one of the strongest constituencies for the Congress. Both in 2009 and 2014 it was won by senior Congress leader MI Shanawaz, but he died last year and since then the seat has been lying vacant. Wayanad is a hilly district located in North Kerala that shares borders with both the neighbouring states of Karnataka and Tamil Nadu.